An emergency can present itself at any time. Be prepared with a portable survival kit designed for 2 people. It is packed with necessary items in case of food or water shortage, power outage, immobility, sanitation crisis, first aid situations, and more. 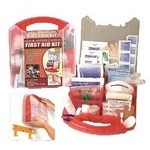 Protect your family or significant othes with the right emergency tools and supplies and survival gear. Dimensions 18" x 12" x 7"
Survival Playing Cards - 52 cards with valuable survival skills that will educate you in an emergency situation as well as keep you entertained. 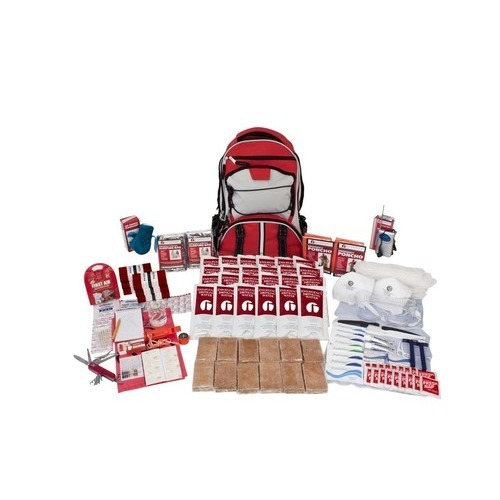 Emergency Survival Kit Information: This survival kit was designed using advice from experts in the emergency preparedness industry. It follows guidelines given by government agencies and non-profit preparedness organizations. This 2-person essentials kit has a retail value of $123.